Ken has been involved with Texas Lions Camp since 1998. He is passionate about the success of TLC and has helped thousands of Lions and Volunteers to stay involved with the physical plant of TLC. He is a consummate professional and an expert in his field and will help your group have a successful experience through workdays at TLC. How much does it cost to attend Workdays? Do Youth groups register or apply? Will workday shirts be available? Are workdays just for Lions? I'm so glad you asked. Like most things TLC, there is no charge to attend. We even plan on housing and feeding you. So don't delay, make your reservation today! Housing for workday attendees will be available in one of TLC's eight(8) bunkhouses and will be segregated according to gender and to the extent possible, group. At this time, TLC does not have couples or family-style housing, but keep your eye on our Master Plan and see what develops! A delicious breakfast and lunch will be provided on Saturday. Meals will not be provided on Friday, Saturday dinner or Sunday. Most groups will leave by Saturday, later afternoon (~3:30). Sunday stays should only be organized with permission. The Camp would like to have a general idea of the numbers to expect since we are providing meals and ordering shirts. 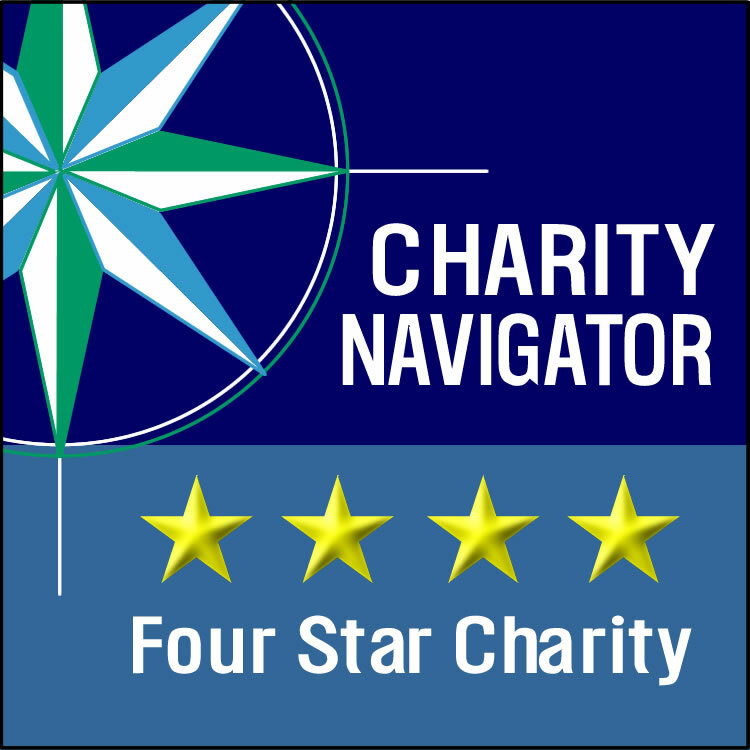 Consequently, only the group coordinator need register and will do so for the entire group. During the registration process, the group coordinator will provide the numbers anticipated. If you are attending as a family or as an individual, you are also welcome to register as "head of household" using the online portal. The registration process for youth-groups is a bit more involved and requires an approval, in addition to registration prior to arrival at Camp. Youth groups are defined as any group where the number of minors not related to the adult sponsors present out-number the adult sponsors present. Moreover, any minor attending workday without their parents/guardians present, must have a signed liability release form and a permission to treat form on-file with TLC's administration prior to the event. Register the group using one of the links at right. To Download a copy of the parental permission slip, please click here. The parental permission slip should be distributed to the minors in your group, signed by their parent or guardian and brought with you for check-in. The safety plan should be drafted and submitted to TLC. An email from Ken Folsom will be sent to confirm the status of the youth-group application. Absolutely! Workshirts are a great way of showing your TLC pride and will usually be offered both in a short-sleeve and long-sleeve shirt. A small fee will be charged just to cover the cost of the shirt(s). Absolutely not! Membership in a Lions Club is not required to attend workdays. Workdays have become a great method of introducing non-Lions to the work of TLC and yields a great benefit to groups of most any size. 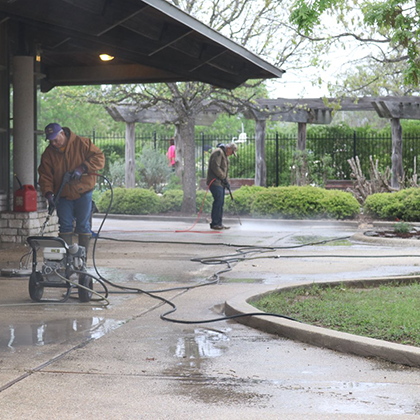 TLC is a small city and has many "chores" to do each Spring in order to prepare the campus to receive our kiddos and seasonal staff, team members. To facilitate these processes, TLC hosts 3-workdays each Spring which are historically held on the 1st Saturday of each month of March, April and May which leads us into Summer Camp. The organizers of Lions Clubs, church groups, associations, corporations, universities and focus groups realize the value of mobilizing their membership to work together on specific goals in order to build and/or strengthen team-work. 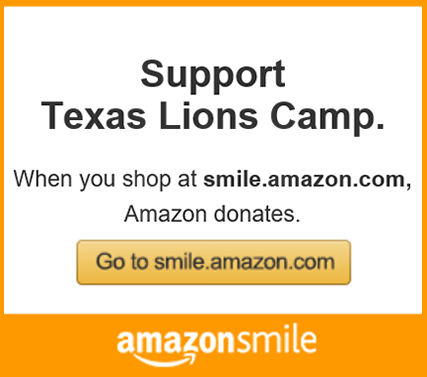 TLC's workdays have proven to be an outstanding method of providing this type of activity, all while helping to advance the mission and goals of Texas Lions Camp. When are the workdays and how do I apply? All essential materials and equipment are provided, however, we encourage attendees to bring any tools or items requested or that you believe will facilitate your invidual project. Any personal protection items such as appropriate clothing, gloves, eye/hearing protection and the like are strongly encouraged. If you'd like to enroll your group, please click the button below and make use of our on-line registration portal.